Blog - Are the Political Polls Correct? On November 8th of 2016, Hillary Clinton who was heavily favored by almost every political poll, lost the Presidential election to Donald Trump. Immediately after the election, the media was baffled by the election. How could the polls have been so wrong? What could be done to prevent the same thing from happening again? In just one month, another important mid-term election will occur. As of this time, the polls are giving a slight edge to the Democrats to win the House of Representatives and potentially (but less likely) to win the Senate. And the media seems to have forgotten what happened with the polling in 2016. So, what did happen in 2016? The best explanation (although there are multiple explanations) is that the polling companies improperly weighted their sample. Now, many will claim that the polls were wrong because Trump voters were primarily in regions that generally aren’t sampled, that Trump voters don’t answer services and multiple other reasons. And all of that could be true based upon how various polls create their sample. Weighting is done by researchers when the view their sample and make several presumptions. For example, historically there are more Democrats in the U.S. than Republicans. So for every Democrat that answers the survey, the response is “weighted” more heavily than for Republicans that respond. Typically you will see polls weighted from +4 to +9 for Democrats. Thus, when Hillary lost the election, it’s because the polls were skewed more heavily for Democrats who either didn’t vote or who may have voted differently. If one drills down on the existing polls you will see the weighting on the polls is fairly consistent to the weighting used in 2016. But based on the research that Spectem conducts with investors on a regular basis, it may be time for some of the polling companies to reassess their thinking. First, it’s important to note that the research Spectrem does is very different from political polling. Polling is random “man on the street” interviews, or more commonly, random phone calling to registered voters asking them about how they will vote. In that way polling companies feel they reach the “common man” because that is arguably who is answering the phones. In contrast, Spectrem’s research is panel based. Individuals with specific attributes are given the online survey from a panel company. The individuals may be compensated to complete the survey in various ways (points that accrue to prizes or cash, etc.) 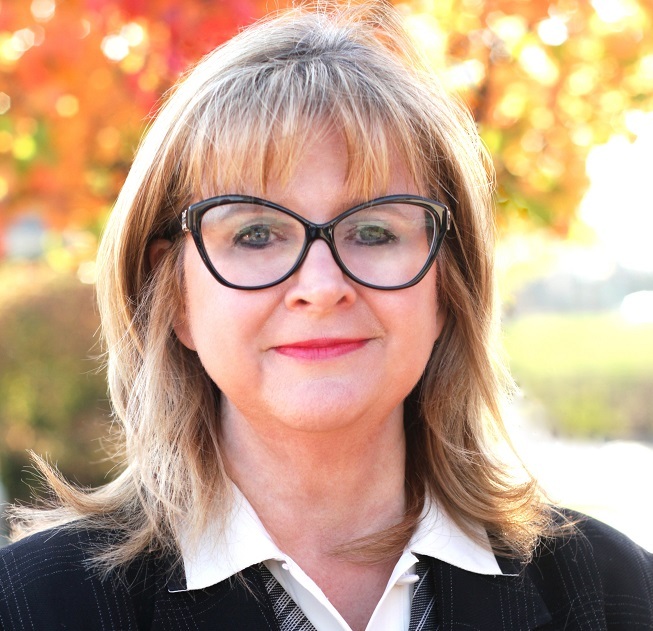 Spectrem focuses on households with $50,000 of net worth and higher, not including the primary residence. (Arguably, when including 401(k) balances and pensions are included in net worth, the number of qualifying individuals increases and represents a large share of households.) One can argue that since our respondents generally have a higher net worth, they are more likely to skew Republican. Historically that has been true, however, arguably more wealthy people are Democrats today than in the past. Examples might include Silicon Valley executives who were very supportive of Hillary Clinton and President Obama. There is currently no valid source that I could find that defends that presumption based upon up-to-date information. 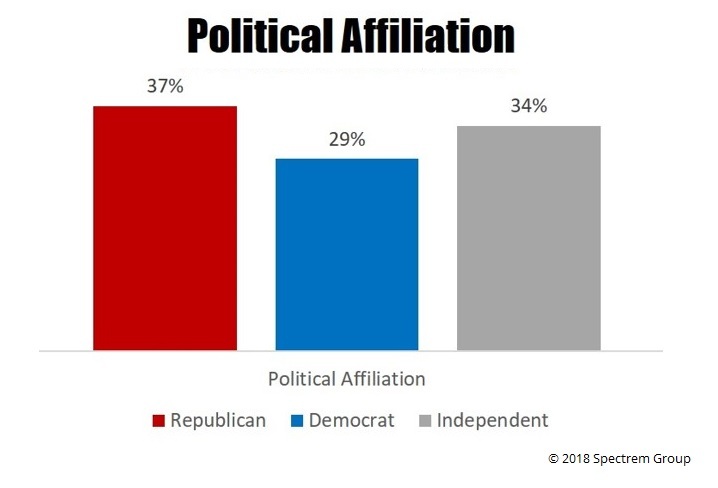 In Spectrem’s monthly research, a higher percentage of respondents identify as Republicans (37%) than as either Democrats (29%) or Independents (34%). As seen in previous years, Independents really are the greatest influencers of an election. Another presumption made by pollsters and politicians is that it is “all about the economy”. Each month Spectrem asks investors multiple questions regarding their confidence level in the economy and their own personal investment situation. In our most recent poll (conducted in the last two weeks), 79% of investors said they are better off than a year ago. That is their overall opinion, however, when the data is reviewed more thoroughly, when asked about their overall Household Outlook, they scored it at 22.70. Republicans scored it at 40.31 and Democrats at 10.67. Independents scored their Household Outlook at 20.51. Compared to October of 2017, there was little difference. In October 2017 the Household Outlook of Republicans was 40.40. Democrats scored 14.62 and Independents were at 30.56. In fact, Democrats and Independents are actually lower in their overall score. In October of 2016, however, Republicans scored their Household Outlook at 0.8 while Democrats scored it at 25.37 and Independents scored their Household Outlook at 9.94. Thus, Republicans and Independents are higher than before the Presidential Election … although Independents are only slightly higher and have fallen since a year ago. The Household Outlook is made up of 4 components. It would be important to point out some large differences between 2017 and 2018 in some of those underlying components. Household Income is basically the same between 2017 and 2018 for Republicans scoring 30.00 and 27.50 respectively. But note the differences for Democrats. The Household Income component increased from 19.51 to 29.23 for Democrats and from 15.38 to 30.86 for Independents. So while Democrats and Independents are reluctant to acknowledge that their overall Household Outlook is up, their Household Income is much better. So can we rely upon the political polls? Are they accurate? Well … if it is true that there are still a lot more Democrats than Independents and Republicans … and if people really don’t care about the economy or their own household income … then the polls are probably pretty accurate. Would I place a bet on the polls in Las Vegas? Probably not. But are they definitely wrong … who knows? But we will all know in a month.